The blueprint will see around 2500 houses built over the next three decades, along with two primary schools, a sports centre, a range of retail and community facilities and a cemetery. 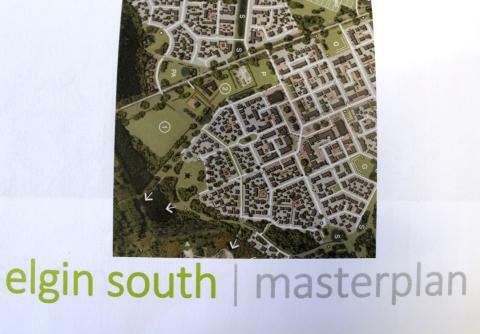 The overall development by local company Springfield Properties will take the form of three linked villages to be known as Linkwood, Easter Linkwood and Wester Linkwood. Members of Moray Council’s planning and regulatory services committee were told that the site extends to more than 200 hectares and represented a significant long-term expansion of Elgin. It said the vision for Elgin South was to create a fully accessible, high quality community which would fit into the landscape setting. The report acknowledged that longer term growth would require significant improvement to the transportation network. The draft masterplan will go out to consultation, part of which will involve a drop-in exhibition.